At the present time, the European Parliament is in the midst of a debate to define the next financial framework, on which both European policies and economic funds will depend. Therefore, in recent months, the SSPA network has intensified its advocacy work at European level, pursuing that the various amendments that will be submitted for approval at the end of this month include active policies and measures to combat depopulation. Representatives of Cuenca, Soria, Teruel, Lika-Senj and Euritania that make up the SSPA network, have traveled to Brussels to start a round of contacts meeting with a representation of the different MEPs who have submitted amendments to the future policy of the EU. The purpose of the meetings was to discuss the content of the amendments presented on depopulation and promotion of economic development in rural areas, seeking that the new financial framework that will govern European policies in the coming years include specific measures for the less densely populated regions. 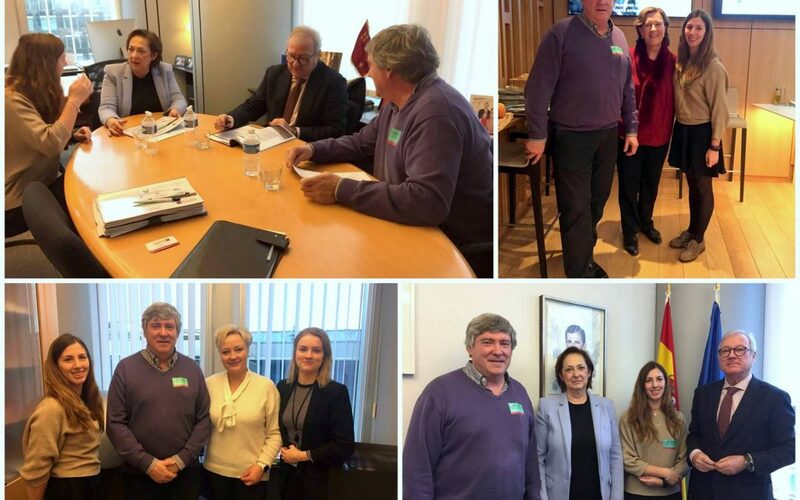 The SSPA network has met with the Europarliamentarians Elsi Katainen (Finland), Inés Ayala, and Verónica Lope (Spain) and with the Vice President of the European Parliament Ramón Luis Valcárcel. Thanks to this round of contacts the MEPs have been able to see first-hand the proposals of the network, exchange views with regard to the draft of the future Community policy and advance the joint proposal of concrete measures that contribute to reverse the demographic situation and socio-economic impact of rural territories with greater social, economic and demographic disadvantages. For the coordinator of the SSPA, Sara Bianchi, “We are at a decisive moment, from the SSPA network we will continue with these meetings in the coming weeks so that the different political forces represented in the European Parliament move the concern for the situation that lives good part of the rural environment to the future European strategies, promoting concrete measures much more effective than the current ones “.